You are going to start seeing me talk about this Romance Has a Heart thing quite a lot throughout the month of February, so I thought I'd try to explain it in more detail here! Me and Tracey Gee from LOVExtra have started this to raise money for the Canadian Heart & Stroke Foundation and the American Heart Association. For #RHAH, I'm Captain America (!) and I'm looking for romance writers, bloggers, fans, and any other wonderful people who would like to get involved to join my team! So, what is it and what does it involve? To join my team, visit the team page on The American Heart Association and sign up as a member! It costs nothing to join, and we'll put you on the fundraiser's website as a supporter, all we ask is that you help us to spread the word to the best of your ability. Join today - your captain needs you! If you'd rather help out by donating prizes, we'd love to hear from you! Message me here or contact us on our facebook page. As a special incentive to support these great causes, many authors are giving away prizes for donations. If you donate $5 or more to my page here (and if you feel like giving me your address! ), I will send you a handmade, one-of-a-kind valentine. Expect glitter. Lots of it. Please consider joining either team, please donate if you can, and please spread the word! 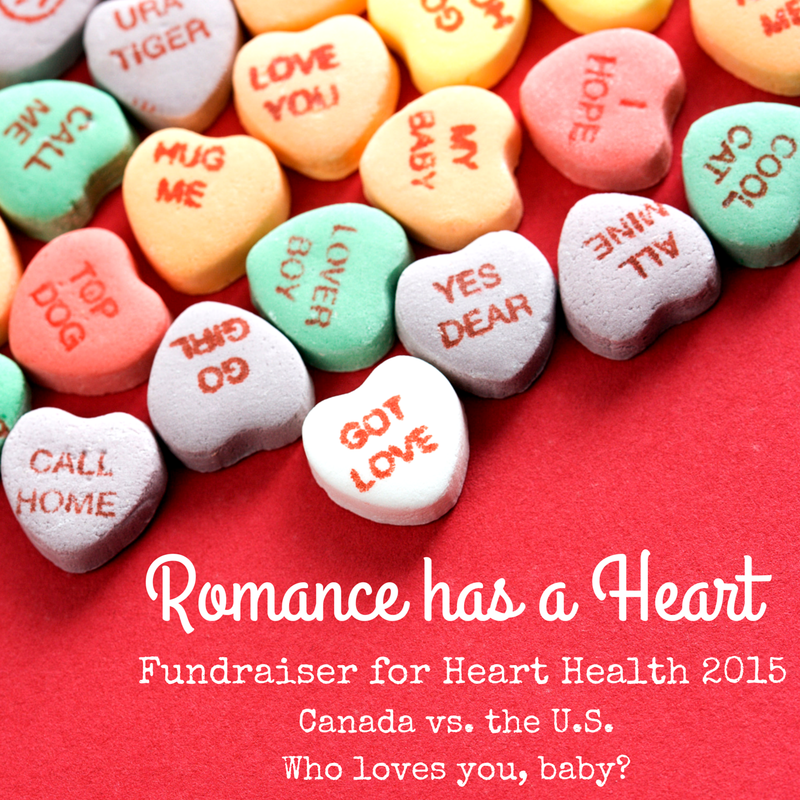 We want to raise as much money as possible for heart health in Canada and the US by February 28th! Like us on Facebook or Tweet #RHAH to support Romance Has a Heart today!